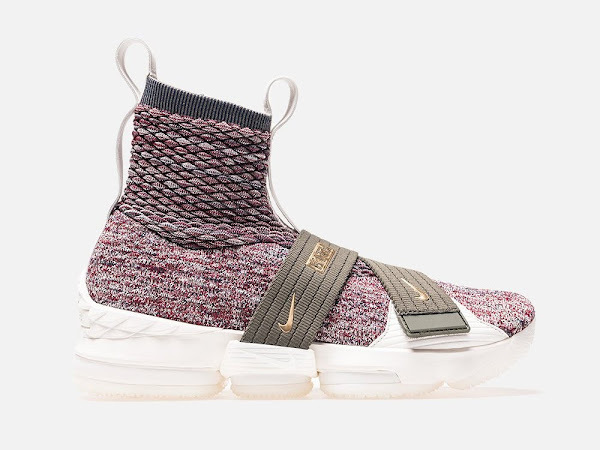 Last week Nike launched their collaboration project with Ronnie Fieg at Kith, which included three limited edition colorways. 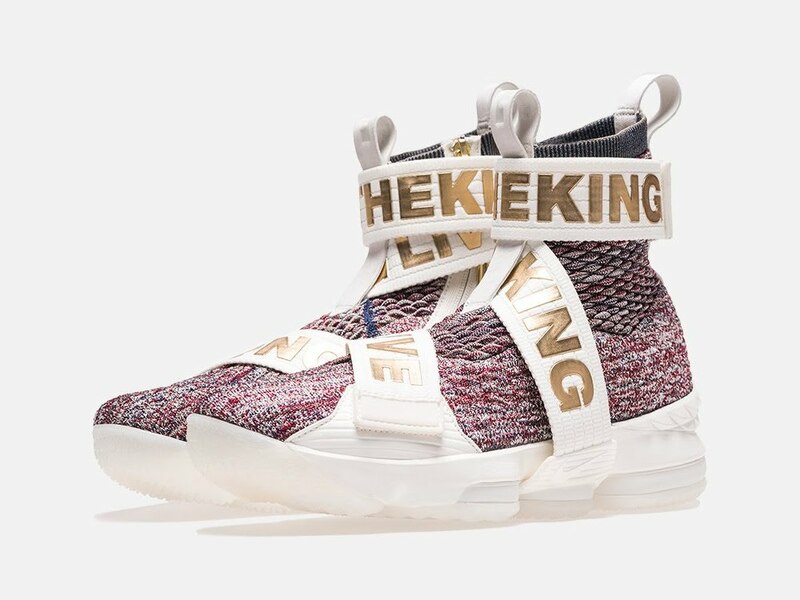 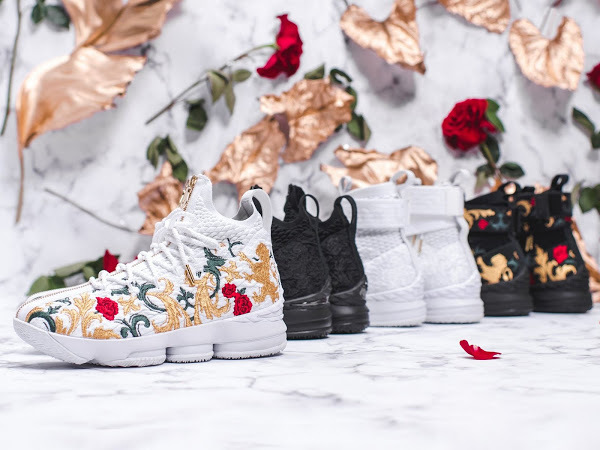 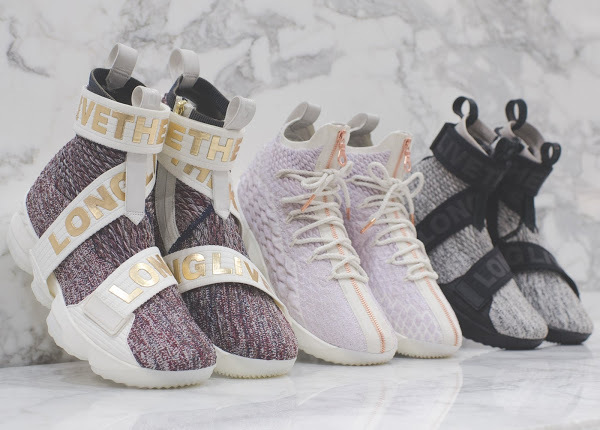 Hopefully that’s only the beginning of such creative designs and we will see more like them not only at boutiques, but also with regular Nike LeBron releases. 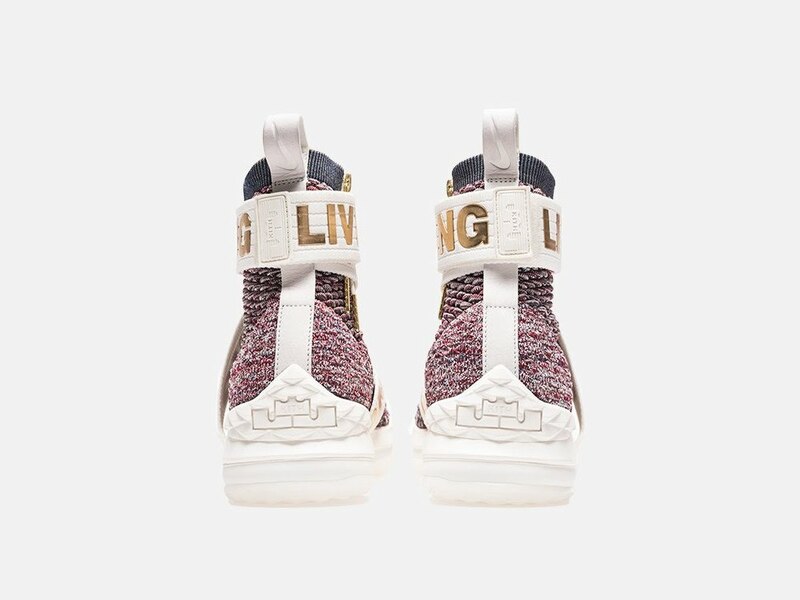 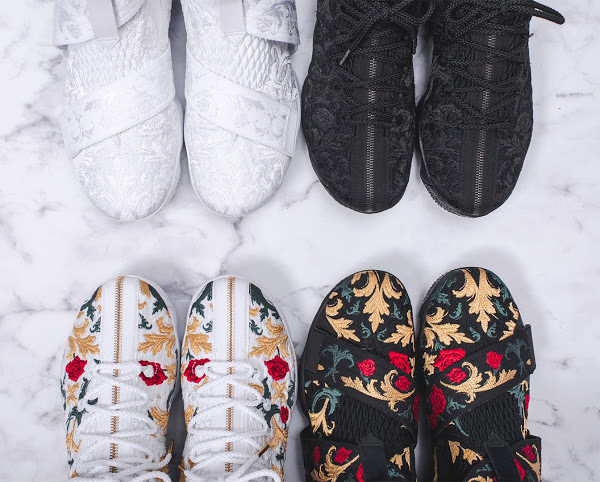 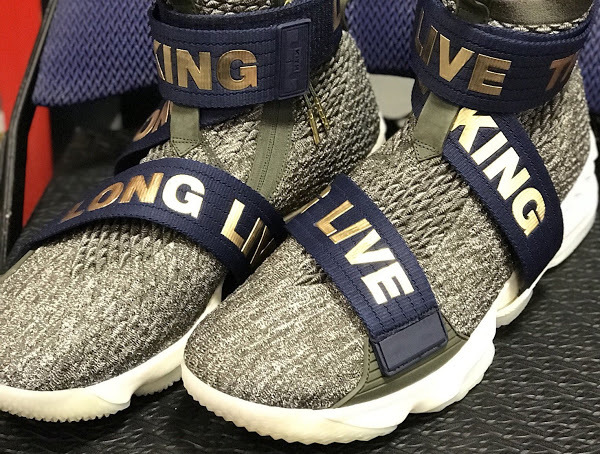 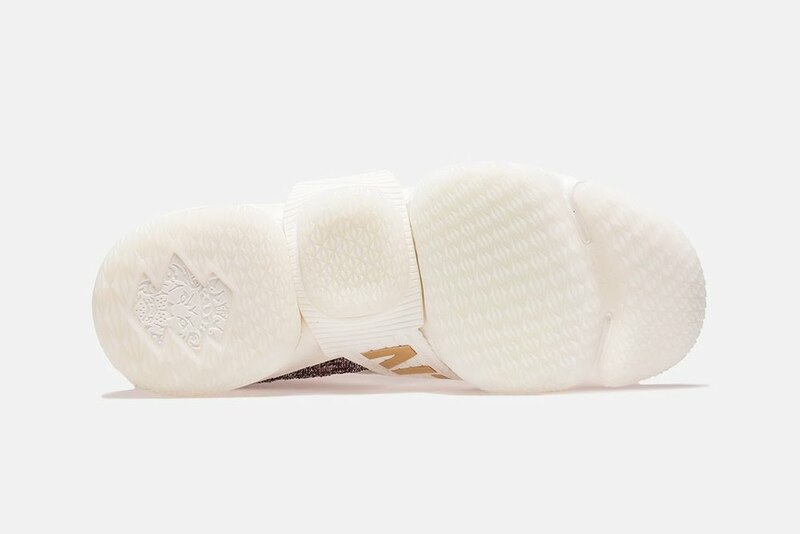 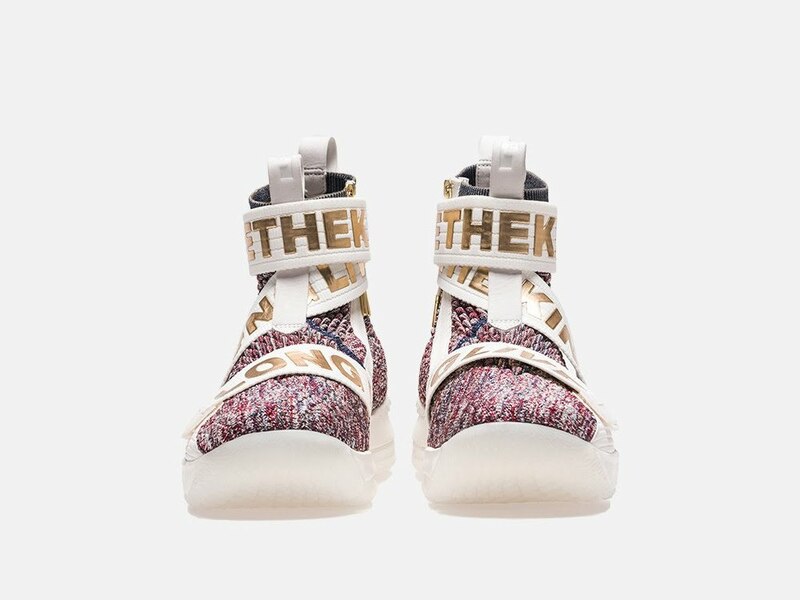 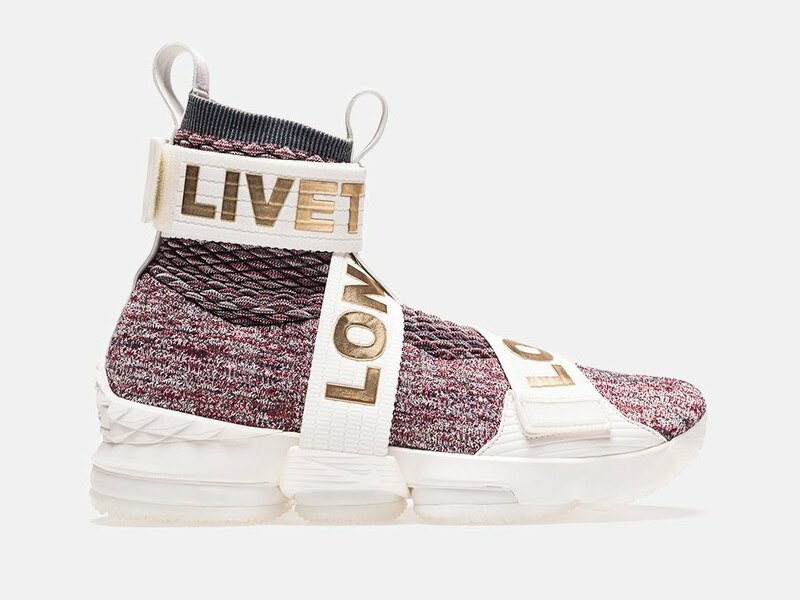 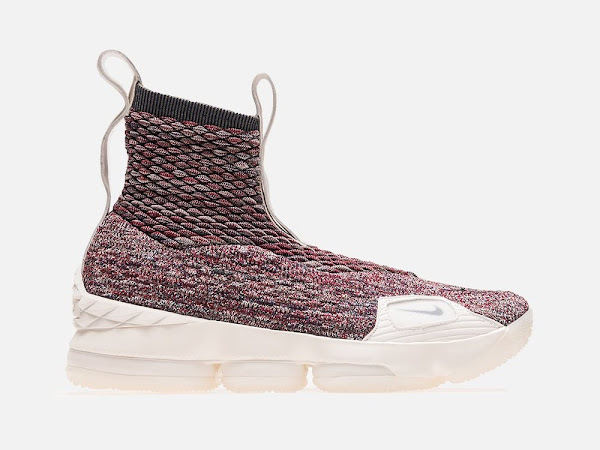 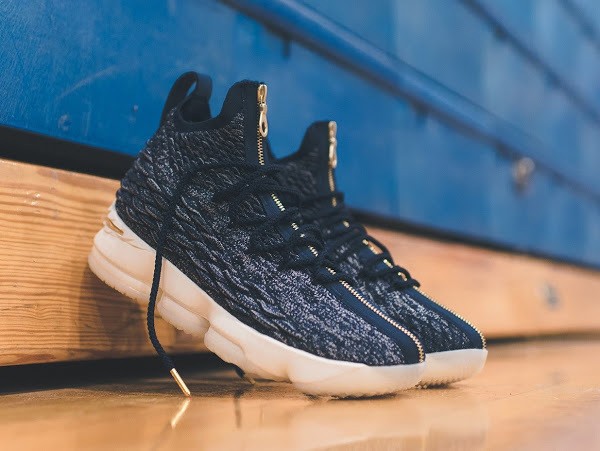 Two of Kith’s LeBron 15s were labeled as the Lifestyle make ups with a special wraparound strap design that completely eliminated the need to use laces. 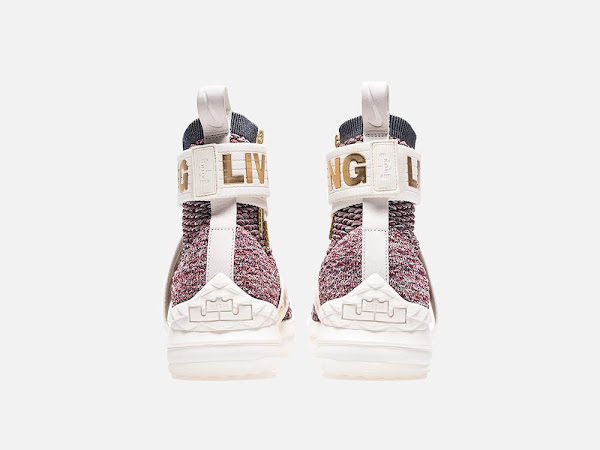 What I like about this release is the fact the shoes were bundled with 3 different straps. 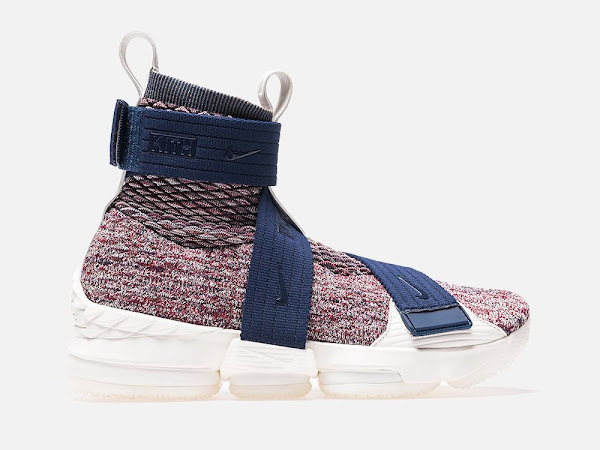 The Concrete colorway has Black straps but the presented Stained Glass version has 3 colors: Navy, Olive and default White and Gold… giving us plenty of options to customise the look. It plays nicely with the multicolor knit upper, which uses of shades of burgundy, navy, sail, and olive.